Last May 27, Martin Nievera dazzled the crowd at Westgate Center. Westgate is a 9.2-hectare open-air village combining innovative dining, retail and lifestyle concept in a street-style setting. Westgate relaunches with a new look that features a corner plaza with a green wall, a landscaped activity park and even more refreshing greens. Martin is an Alabang resident himself, and is often seen at Westgate's dining establishments with his family, relaxing and enjoying what the mall has to offer. 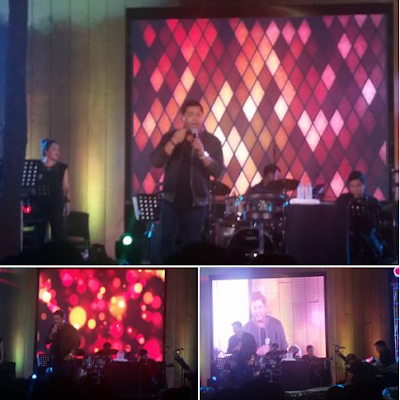 Concert King, Martin Nievera, wowed the diners and shoppers with such hits as Be My Lady, Say That You Love Me, Please Don't Throw My Love Away, Each Day With You and so much more! His son Robin also performed at the concert, strumming on his guitar. He did a duet with Martin towards the end of the show.